Dry salt therapy originates from speleotherapy or cave therapy. Salt therapy is the same as spending time in the salty sea breeze which offers more benefits than just relaxation. Not only does this therapy boost your immunity, but improves your breathing, enhances skin health, cures your blues, and helps you to unplug. Salt therapy is a holistic, natural therapy also known as halotherapy. This drug-free therapy uses salt microparticles to promote healthy skin, good sleep, enhanced physical fitness, better breathing, and overall wellness. Salt has anti-inflammatory and antibacterial properties, removes pathogens and reduces immune system oversensitivity. Likewise, it has mucolytic effects which loosen excess mucus and improves mucociliary transport. In salt therapy salt is grounded into tiny microparticles by a halogenator and dispersed into a salt room. As you inhale the salt-enriched air, the healing process begins, and inflammation starts to reduce. The non- inhaled particles land on your skin and improve pH level, boosts microcirculation, and starts the regenerative process in your skin. Feliks Bockowski a Polish physician found that contrary to the widespread belief that mining is dangerous to health, he found salt miners were enjoying good health and healthy skin. As a result, he started the first salt resort facility in Poland in 1839. Similarly, during WW1 a German physician Dr. Spannahel realized that people who were hiding in salt mines and caves for fear of bombs enjoyed significant respiratory health benefits. As a result, he converted Klyutert cave as his inpatient department to study the benefits of salt therapy. Salt therapy has wide-ranging benefits. Salt levels affect your energy, cell activity, and blood sugar levels. Moreover, salt is a natural disinfectant and has antimicrobial and antibacterial properties. The negatively charged salt ions improve your physical and mental health. 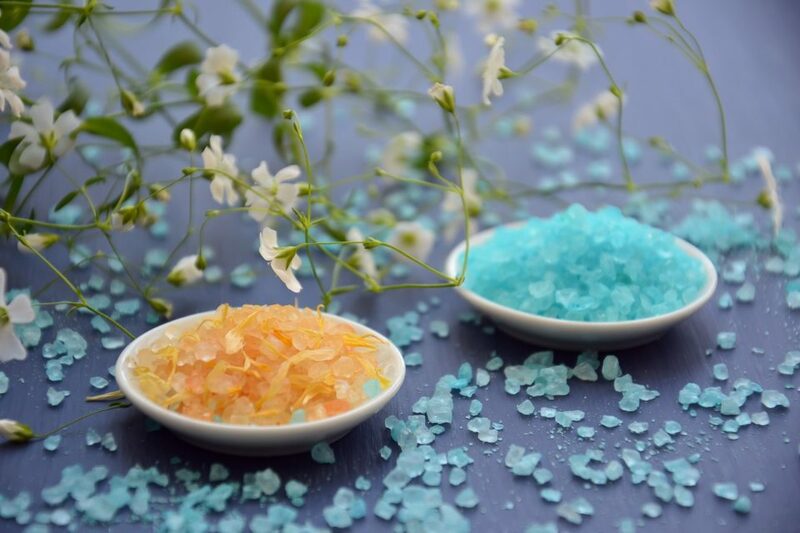 The four significant benefits of salt therapy include reducing respiratory ailments, improving skin health, reducing inflammation and immune system booster. In a double-blind controlled pilot study, researchers studied the effects of halotherapy on kids between the ages of 5-13 years. These kids were diagnosed with mild asthma. After 14 sessions of halotherapy, they concluded that this procedure gives statically significant improvements in mild asthmatic children. Researchers asked volunteers with atopic dry skin, submerge their forearm in a bath solution containing dead salt, while the other hand was immersed in tap water. They noted that saltwater improved skin barrier function, hydration, as well as decrease inflammation and skin roughness. Salt has powerful antimicrobial properties. Research studies say that salt reduces bacterial food contamination. Moreover, it fights bacteria such as Staphylococcus aureus, Escherichia coli, Salmonella typhimurium, and Listeria monocytogenes. Researchers found that salt therapy not only improved lung function in chronic bronchitis patients but also enhanced immunity. Inflammation causes most of the diseases. Research done on animal studies found that a hypertonic solution reduces inflammation by just bathing in it. The hypertonic solution produces an osmotic gradient through the skin. An osmotic gradient is a pressure created by water molecules. It causes water to move from areas of high pressure to areas of low pressure. Experts say that the osmotic gradient present in hot springs improves pain related to rheumatoid arthritis. Does salt therapy have any risks? Mostly salt therapy is safe. While it helps to treat asthma, salt therapy might also constrict or irritate the airways in people with asthma. Halotherapy is a complementary therapy that works alongside any medications you’re taking. Discuss with your doctor before you try this approach. Likewise never stop any medications without discussing it with your doctor while undergoing this therapy.